Holbrook Custom Designs has a single mission: Complete Customer Satisfaction! We strongly believe in giving our customers the most for their money. We work with only the highest quality materials and experienced professionals. With over six years of experience, we have consistently focused on the needs of our customers, providing personalized attention and a stress-free experience. This approach has set us apart from our competition and keeps our customers coming back! Emmet's Custom Home Builders | Best of Houzz 2017! Professional Custom Building in Grand Traverse Area since 1997. We have our own staff of skilled tradesman on site every day to ensure quality and attention to the details of your project. Conquest Builders, Inc., formerly Stuck Family Construction, is a full service construction and remodeling company based in Charlevoix, Michigan, serving Charlevoix, Walloon, Bay Harbor, Petoskey, and the surrounding communities. We are proud to offer our customers quality, custom homes through our attention to detail, craftsmanship, and superb customer service. Conquest Builders, Inc. offers a variety of construction services, including new construction, custom carpentry, additions, remodels including, but not limited to, bathrooms, kitchens, basements, tiling, exteriors, and decks. Our clients receive detailed estimates and budgets specific for their project. From the first meeting to moving in, Conquest Builders, Inc. works in close partnership with our clients. Throughout the planning, designing, and construction process, we will be in close communication, building a relationship of trust and delivering incomparable customer service as we construct our client’s new home or project. Our customers come looking for exceptional, quality craftsmanship to complete their dream home or remodel and Conquest Builders, Inc. takes pride in delivering both. Professionalism from a builder is what our clients expect and our goal is to uphold that professionalism with each and every project. Conquest Builders, Inc. offers free in-home or on-site consultations at your convenience. ShoreStone Custom Builders specializes in new home construction. But we are more than capable of projects of all sizes. We build to your specifications or we can work together to assemble an affordable custom home package. Whether you're looking for a quaint and cozy cottage or a multi-level dream home; we have the tools and experience to turn your dreams into reality. The majority of our client bas is generated from referrals and repeat customers. Proving that our work ethic and standards are high. ShoreStone Custom Builders will work to capture your desires and lifestyle. Then transform those desires into a masterpiece that will house your family for many years to come. It is our goal to make your building experience an enjoyable one for you. Custom home builder with over 35 years of experience specializing in new home construction, renovations and historic cottage restorations. Jeff Simonis has been in the construction field in the Traverse City area and Northern Michigan for more than 25 years. We have built a solid business foundation based on integrity, accountability, work ethic and professional conduct. His strengths lie in his ability to solve problems, find a way and provide personal, hands-on craftsmanship to each project. We specialize in Custom and Luxury Homes, Residential New Construction and remodeling, offering custom home design/build and interior design services, in addition to light commercial construction. We prefer to focus on quality of projects, rather than quantity, thus ensuring your project receives the careful attention it deserves from a builder who cares. Birchwood Construction has been building and remodeling magnificent custom homes throughout Northern Michigan since 1972. Birchwood provides an unrivaled build experience for our customers through attention to detail and lasting personal relationships. We are a family-owned business, and "family" is the essence of everything we do. Launched in 2007, Bay Area Contracting has grown year over year because of our focus on quality and strong client relationships. Our clients become family and by learning about them and building that relationship, we are able to successfully build a home that suits their lifestyle and aesthetic. Bay Area Contracting has built over 135 homes since 2007, and each year we increase our annual volume by improving processes, building relationships with sub-contractors (many of whom work exclusively with BAC), and by adding staff to support our efforts. 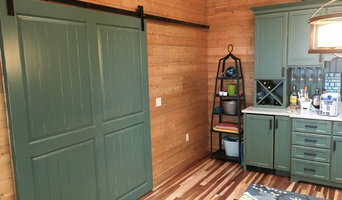 CUSTOM HOMES | REMODELING | COMMERCIAL We are a custom builder from sprawling lakeside estates to solely a kitchen remodel. Our mission is simple... make our clients happy through quality craftsmanship, prompt timelines and honest pricing. We would love the opportunity to work alongside you on your next project! With over 27 years of construction knowledge and hands on experience, as well as, a third generation builder, we know building. Our extensive knowledge of work flow, scheduling and pre-planning allows for jobs to get completed smoothly and without delay. We believe in open communication with our clients and we are hands on with all aspects of our projects to ensure each phase meets our high standards and your vision. Glennwood Custom Builders is a full service, residential, custom design/build firm with a primary focus upon discriminating homeowners who expect and appreciate high quality craftsmanship, exceptional architectural design, and a high level of professionalism. Our team consists of on-staff interior and architectural designers, architects and engineers whom we partner with, professional construction managers, and on-site craftsmen all continually striving to exceed your needs and expectations. We are proud that many of our clients also call us a “friend” during and after the building process. This is a goal we strive for on each project and discuss it amongst our staff on a regular basis. We believe this type of long term friendship is the ultimate testimony of our communication skills and the trust we earn from our homeowners. We welcome you to our community and look forward to building your dream home in beautiful Northern Michigan. For Petoskey residential home builders who also act as developers, the job starts well before the first nail is driven. They perform local market research to determine whether the prospective homesites make sense in the Petoskey, MI market, as well as survey the land on which the house will be built to make sure it is suitable for construction. Custom builders also obtain the necessary permits. 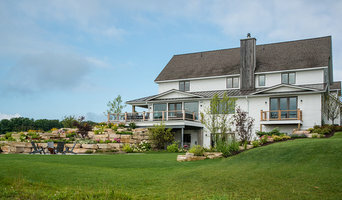 A good custom home builder in Petoskey, MI has skills that go far beyond construction — he or she must supervise subcontractors and artisans; keep tabs on local zoning regulations, building codes and other legalities; inspect work for problems along the way; and perform dozens of other roles that are essential in building a quality house. Here are some related professionals and vendors to complement the work of home builders: Interior Designers & Decorators, Landscape Architects & Landscape Designers, Architects & Building Designers, Kitchen & Bath Designers, Specialty Contractors. House builders are responsible for ensuring that the home-building project sticks as closely as possible to the specified timetable, particularly in the event of change orders. Custom and luxury home builders in Petoskey, MI also need interpersonal skills to deal with clients of all types, soothe frazzled nerves, negotiate conflicts and resolve problems. Find custom home builders in Petoskey, MI on Houzz. 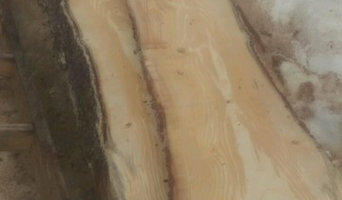 Narrow your search in the Professionals section of the website to Petoskey, MI home builders. You can also look through Petoskey, MI photos to find a house you like, then contact the builder who worked on it.